Born in Oxford, Nicholson attended the Byam Shaw School of Art in London, later going on to study art in Paris, Italy, India and the Hebrides. She participated in extensive mixed exhibitions throughout her life, initially as Winifred Roberts, her maiden name. 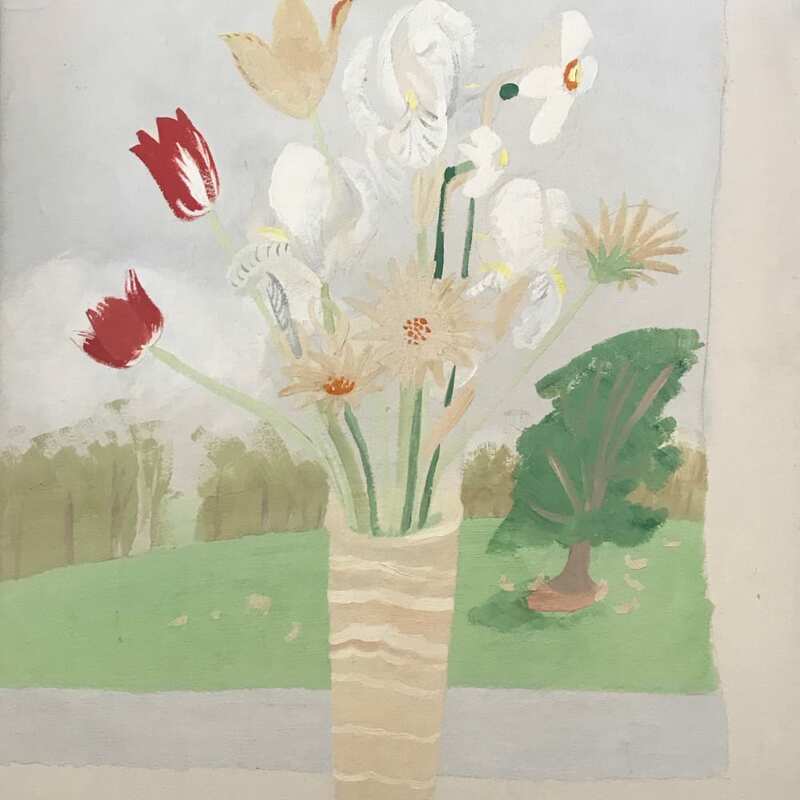 In 1920 she married the painter Ben Nicholson and had her first one-man show at the Mayor Gallery as Winifred Nicholson in 1925. March 1967 saw the opening of her first exhibition at Crane Kalman Gallery, comprising mostly of works executed in Greece. Later, in 1975, Crane Kalman Gallery showed thirty of the artist’s abstract works – mainly executed in Paris – the first exhibition of this kind for about forty years.Nicholson was primarily a painter of flowers and landscapes – celebrating light and exploring translucency. Her later works were concerned more with prismatic colour experiments – a selection of which were exhibited just after her death at Crane Kalman Gallery in March 1981.Further exhibitions at Crane Kalman Gallery include: ‘The Rural Poetry of Three English Women Artists: Mary Newcomb, Winifred Nicholson and Mary Potter’, 1992; ‘Ben Nicholson and Two Wives - Winifred Nicholson and Barbara Hepworth’, 1996; ‘Two Lyrical Painters: Winifred Nicholson and Mary Newcomb’, 2001 and ‘Winifred Nicholson: Unseen Works on Paper’, 2003.